To live in the same city with the Karakayas turns into a nightmare for Seyit and his family. Sirma pays a big price for helping Zühre run away. Ali tries to find out what happened to his mom and thinks that his grandfather has something to do with it. Seyit does the best he can to protect Zühre and his family but he doesn’t know the danger is near. Ali will pay deeply for acting on his own. He has to face the consequences of doing business without Fikret Karakaya. Sirma’s arrival shifts the balance. This causes scars between the fathers and sons. Seyit and his family bond new friendships in their new neighborhood but they don’t know what’s coming. Seyit falls into Zekkar’s trap step-by-step. Fikret catches Zekkar doing business without his knowledge. The war between Sirma and Zekkar gets worse. Ezkkar includes Ali in this war. In spite of all the danger, Seyit and Zühre continue to support each other. Zühre makes a plan to protect Seyit and his family. Seyit and Zühre run. Zühre is scared for Seyit more than ever. Fikret and Zühre’s meeting has uninvited guests. Seyit sacrifices himself for Zühre and Fikret gets even angrier. Rüveyda has acted without thinking and now she is nowhere to be found. Zühre hides from her family but this puts them in more danger. Zekkar and Fikret start their revenge plot. Seyit is now in the hands of Zekkar. He doesn’t give up fighting. Cevahir is once again disappointed by Ibrahim. Zühre is unaware of the things that happened to Seyit and tries to get in touch with him. But she can’t and she gets worried. Rüveyda gets into trouble again. Seyit will get help from an unexpected person. Fikret hangs up the phone without answering to her offer. Zühre on the phone, Seyit in the barrel of a gun. Both of their doom is in Fikret’s hands. Zekkar uses every opportunity to pressure Sirma. Ali turns his back on her, too. Rüveyda has no place to run. She thinks she got out but she gets cornered again. Zühre runs away leaving Seyit and his family. Seyit looks for Zühre and tries to find Rüveyda on the other hand. 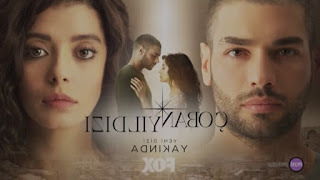 Seyit finds Rüveyda but she can’t go back to her family and gets into trouble. Zekkar intends to confront everyone that double-crossed him. Zühre gets help from someone unexpected and is about to step into a new life. With Günes’s phone call, Zühre sees someone she never expected. Ali defends Rüveyda to his father. Lodestar airs on Fox Life from Mondays to Fridays at 18h25.